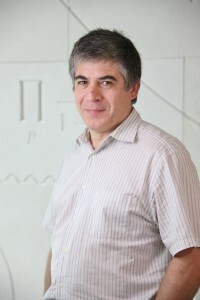 Congratulations to our Deputy Director, Dr. Alexander (Sasha) Abanov on his recent election as an American Physical Society (APS) Fellow, which is a highly exclusive honor given to those who have made great contributions to the field of physics through their research, leadership and educational outreach. (Click here for the complete list of 2016 APS Fellows). Our Center would also like to congratulate Dr. Axel Drees, Chair and Professor in the Department of Physics and Astronomy for his election as an APS Fellow as well.